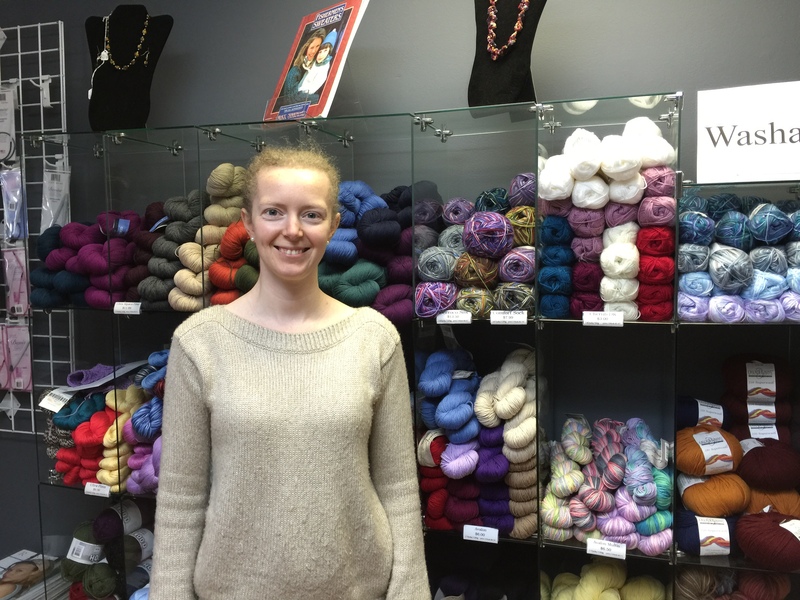 I am Mariah Clark, Owner of Stitch Amour, your local yarn shop. I grew up in Western Albemarle County and studied Apparel Design at Virginia Tech. I opened my business in Waynesboro in 2010. Stitch Amour is on Wayne Avenue in Downtown Waynesboro, less than five miles from the entrance to Shenandoah National Park and the Blue Ridge Parkway. We sell commercial yarn as well as locally hand-painted yarns and carry a selection of needles, notions, and patterns, including Denise Interchangeable Needles (Made in Waynesboro!). We offer sewing and knitting classes and have a social knit/crochet group which meets every Friday from 3:00-5:30pm (all fiber crafts welcome). We also carry a selection of hand-crafted items from apparel to jewelry. Stop by to find that special gift you have been looking for! My love of design, creativity, and the arts inspired me to open my store. When I first opened I was designing knitting bags, apparel, and knitwear patterns. I also taught classes and carried work by many local artists. I have since expanded to also carry many commercial lines, which allows me to provide quality knitting and crochet materials to my customers. I saw Waynesboro as an up-and-coming arts district. I knew Waynesboro had a long way to go but that there was momentum and extreme potential! In the 5.5 years I have been open. I have seen so many positive things happen. New restaurants and businesses, the Wayne is open, P. Buckley Moss is now downtown and the Art Center is expanding. Street Scape has improved the look of downtown and soon we will have a beautiful renovated park. Letting people know I was here. Foot traffic downtown was slow, so I had to rely on other methods for getting people in like hosting special events and really marketing those events. Over the years my business has gone through many changes including a refocus of products and a name change. I am sure there was a shorter path to where I am, but I learned a lot along the way. Meeting incredible interesting people and knowing that I have in some small way helped them. This is a beautiful little shop with lots of fun and yummy yarns. Wonderful community.